Slow down and anchor the body in a supportive way to help the individual develop and understand the relationship of body, mind, heart and spirit.  Anchored Vessel is a name that captures the ideas of being in the water, being anchored with stability and so much more. 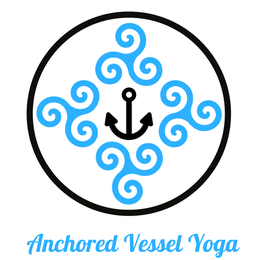 You are invited to understand a bit more about how the logo symbolizes this and some other important ideas by scrolling down and checking out "What's in the Anchored Vessel Yoga Logo?" Please also view our sister website www.dallasaquayoga.com to learn more about who we are and why we are passionate about practice in the water. In addition to what is noted below, please see my Credentials and Experience page for further detail. When I'm not teaching yoga, I'm taking care of my husband and two kids. They keep me quite busy and can be a little annoying at times but I have to say we have a blast being a family. We're nerdy, geeky and like to watch movies from the Marvel comic world. Star Lord is my favorite Marvel hero (or should I say Chris Pratt is one of my favorite actors). We are also big fans of Good Mythical Morning - "Let's talk about that!" We own a dog who despite looking like a cross between black lab and greyhound is really a wild combination of Australian Cattle Dog, Great Pyrenees and Lab. At the moment he is learning how to live peaceably with a dwarf rabbit named Hela. By the way, I'm really into geeking out over Norse mythology. Odin is my favorite and I love the story about how he lost his eye. When I'm able to sneak in a moment for myself, I'm working out a tune on the guitar, violin or piano. I am honestly a mess and can't figure out which instrument to focus on. I love both rocking out to Muse and enjoying a melancholic moment listening to Henryk Gorecki's symphonies. I am an iambic pentameter junkie. I have to say, the Shakespeare Star Wars series is actually quite good - I recommend them. I hope that Shakespeare Dallas performs these live some day. If you're out at a park don't be surprised if you see me sitting up on a limb in a tree. Tree climbing is one of those fun, rare and not very practical skills I acquired. However, I'm told this may come in handy during a zombie apocalypse. I am passionate about the health of the whole person and I discovered through my teaching how much I enjoy attuning to different kinds of people. I am curious about people and what makes them tick. The process of having a personal direct encounter with another person, being present with them and discovering a place of resonance with them as they work towards a meaningful goal is an utter delight to me. I am interested in pursuing a Master's Degree in Counseling in the future, though I have had many people tell me I could easily be certified as a Physical Therapist. Currently, my next training goal is to complete the Viniyoga Foundations Program (April 2018 - October 2019). American Viniyoga Institute (Gary Kraftsow), Dr. Dan Siegal, Dr. Bessel Van Der Kolk, Dr. Timothy R. Jennings, Dr. Curt Thompson, Anodea Judith, John Kabat-Zinn. 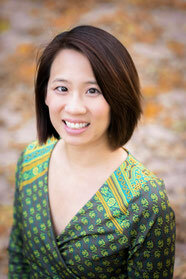 I have selected the Viniyoga lineage to further my training as a yoga teacher. 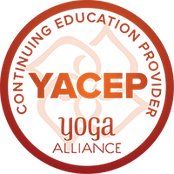 My aspiration is to move more towards the path of yoga therapy with certification offered through the American Viniyoga Institute. In yoga therapy, yoga techniques and practices are adapted to help the individual manage their particular health condition. 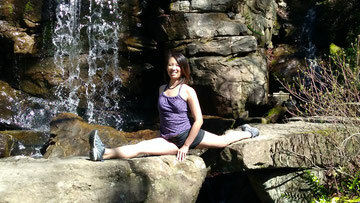 You can learn more about the Viniyoga tradition here. While teaching yoga classes in a variety of studios and settings in the Dallas metroplex, I began to see a great need among the yoga student population to learn how to operate in a healthy way in their bodies. I saw hypermobile students potentially putting themselves at risk for future injury and stiffer students frustrated at their apparent lack of mobility. 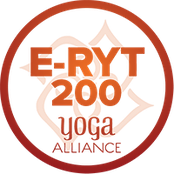 To further my training as a yoga teacher, I sought out training from Camella Nair in the art and science of aqua yoga in the Kriya Yoga tradition. From that training and use of the pool wall for postures practice I began to take the same concepts into a land class by having students use the wall to inform their work. From there I began to study the use of wall ropes and the additional anchoring at the wall offered from the Iyengar tradition. I then took concepts from wall ropes and brought them back to the pool environment. What I began to realize is that for many people, the only point of reference they are accustomed to in yoga and in day to day living is the ground plane and full gravity. I realized that by adding in another point of reference (an anchor point) and another medium to work the body in (water), students could awaken, enliven and cultivate a greater appreciation of how to work with their bodies in an integrated and wholesome way. Currently (as of May 2018), I am translating the Viniyoga method of asana to the pool environment. The Viniyoga approach is a breath-centric approach to asana, where the the inhale and exhale aspect of the breath are viewed as the action that initiates or occurs before the actual action (or direction of movement). They are also recognized as the action that sustains the whole length of the action (or movement). The goal in postures practice is understanding the relationship between the breath and the spine. In the water environment, the buoyancy aspect of the inhale is understood more quickly and the anchoring aspect of the exhale is noticeably needed to provide grounding and stability. Learn more about Viniyoga by visiting www.viniyoga.com.